Few toys attain such longevity that they feel fundamental to the very notion of childhood. Lego may even be alone in acquiring such iconic status. Launched in the late forties, the familiar design of brightly coloured plastic bricks is now embedded in the foundations of our youth. Key to its continued success, and inherent in its core design, the company adapts to changing times. They release new kits based on currently popular characters, and have a well-defined presence in the video game arena. It could be thought surprising, then, that it has taken until 2014 to release a major motion picture that capitalises on the Danish brand’s global success. Clearly, no cheap cash-in is called for. The company heads have shown utmost care to ensure a creation as lovingly constructed as any eight-year-old’s first set at Christmas. It might even be argued that CGI capability has only now reached a standard that can do justice to the hyperreal multiverse we are entering here. For it is a journey that is nothing short of blazingly inventive. Delirious, technicolour, manic, nonsensical, surreal, brash, noisy, psychedelic, joyful… The head swirls with descriptors as busily as the screen reels from one delightfully ludicrous set-up to the next. This is a movie defiantly by, of, and for the ADHD generation: a glimpse into a psychotic parallel dimension that borders on the overwhelming, for there is little respite amid the cavalcade of mind-spinning escapades. Will Ferrell, voicing Lord Business, easily straddles the requisite histrionics of megalomaniac super-villain and the vulnerable humility demanded by the third act. Liam Neeson, as the semi-demonic Good Cop Bad Cop, memorably brings alive the piece’s most original creation. Elsewhere, numerous familiar icons are peppered throughout. Being a Warners production, Batman himself can take (near) centre-stage, his dour seriousness gleefully mocked. Superman, The Green Lantern, Gandalf, all make appearances. Even the Millennium Falcon drops out of the sky for a rip-roaring cameo. It’s an array of seminal characters that both showcases the scope of the brand and epitomizes the current cultural landscape. A “chosen one” morality tale may have an initial ring of the familiar, arguably lacking the dynamic originality otherwise evangelized throughout. But it is so brilliantly written, and a moral so perfectly suited to the Lego ideology: Should you always follow the instructions, do what you are told, fit in? Or dare you follow your individual creative impulse and do what only you can do? It feels uncommonly gratifying. It also lays the foundations for one of the most satisfying movie twists of recent years, in any genre. Beautifully logical in hindsight, we are so caught up in the frenzied pace of proceedings, it succeeds in being unexpected, fresh and disorientating. 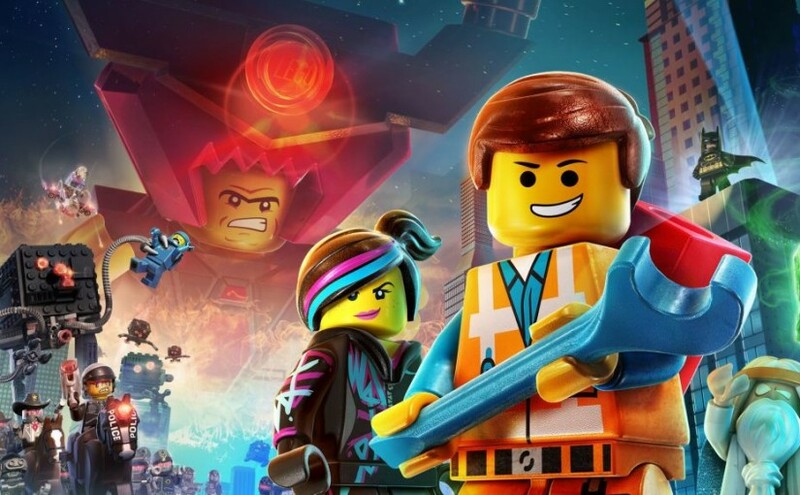 Inspired, genuinely funny, and with true universal appeal, The Lego Movie is ultimately the best possible advert for the toy, crucially by not feeling like one. Out of the simplest of building blocks, Lego have constructed a hyperactive modern classic.